Welcome to an enchanting mix of haute couture and hill tribe style at Hotel de la Coupole where we bring you a nostalgia of the French Indochine era. Immerse in an authentic Vietnamese experience punctuated by picturesque beauty and cultural diversity. Design inspiration from the minority tribes of Sapa and French Haute Couture welcomes you with an enchanting mix of fashion, culture and heritage. 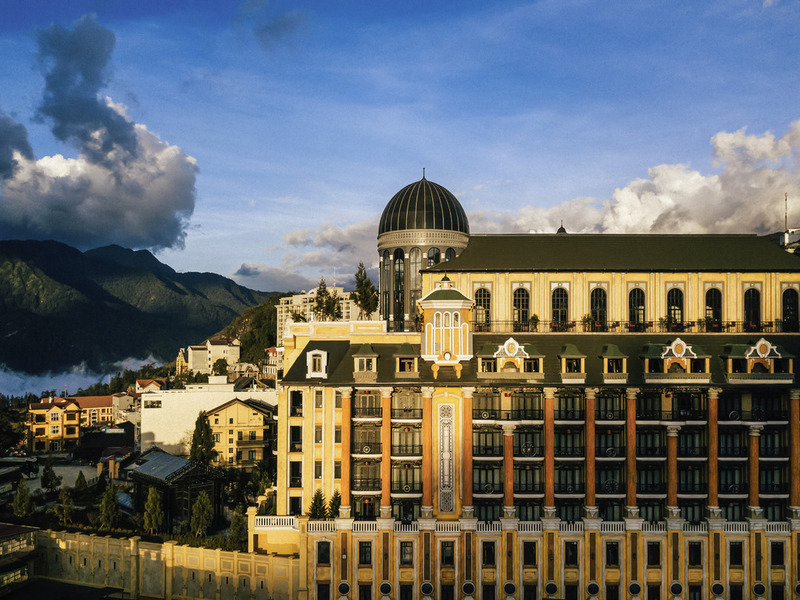 All rooms have spacious balconies where one can view Sapa's landscape, town square or hotel courtyard. An haute couture-inspired French restaurant where customers can dine in a grand yet intimate setting, with refined French dishes infused with local ingredients and a carefully-curated wine list. A French style bakery featuring master crafted Marou chocolates, freshest bakeries, pastries, and macarons perfectly blended with Cacao's signature hot chocolate drink. A rooftop bar and lounge featuring a combination of wine, cocktails and tapas. With an external fireplace for guests to enjoy the mountain range, Absinthe is where effortless luxury and natural scenery meet to create a unique sense of place.